With more than forty-five participants, the workshop and training “People-centred design” held at Yangon Technological University (YTU) between 13th-15th February brought together students, community architects and academics from Yangon, Mandalay, Bangkok and London, consolidating strategic partnerships and adding new layers of engagement between DPU, YTU, Silpakorn University and the Asian Coalition Housing Rights – Community Architects Network. Stemming from a series of discussions emerged last year around the nature and the possibility of an equal partnership, the aim of the three-day multi-target initiative was to support YTU in building the capacity of young professionals and staff to understand and engage with current urban challenges, in particular low income communities’ housing problems, while sharing theoretical and methodological insights in light of the three-year engagement with the MSc Building and Urban Design in Development at DPU. The initiative aimed at fostering the reflexivity of students and staff towards the identification of knowledge needs and pedagogical challenges. 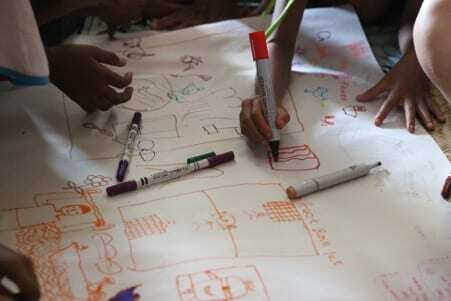 The workshop exposed the participants to low income communities, their technologies, practices and agency. 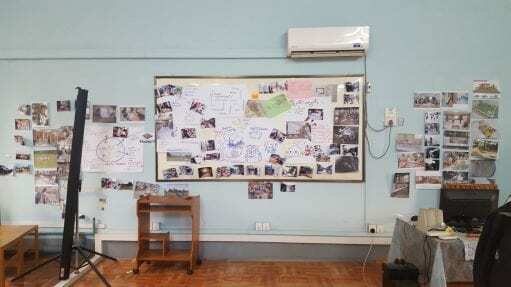 While experiencing the city – the ‘informal’ self-built city – students were tasked to observe and document material and immaterial aspects; as well as reflect upon their positionality. Learning how to critically observe, listen, reflect and narrate ultimately led to re-questioning the role of the practitioner/architect, its attitudes and skills. The training helped participants to reflect on how the new urban question is calling upon the recalibration of the architectural practice, and how this reflects in architectural education in terms of skills/knowledge/attitudes across different pedagogies. Urban challenges such as rapid informal urbanisation and the reproduction of spatial injustice have to be investigated and tackled by embracing a new and radical mode of practice. If challenges are utterly complex, is the old-fashion market-driven technical-based knowledge sufficient? Architecture and urban design should be seen as a series of processes that engage with political and social realities. What type of spatio-political knowledge is required within a studio then? The failure of modern architecture and urbanism in addressing people’s needs has shown the limits of thinking the built environment as an authoritative and autonomous discipline. Anyone can build. Anyone can be an architect. Whose creativity counts then? This calls upon re-questioning the role of the expert and the way in which discourses of expertise are constituted in particular contexts. Initially involved in separate activities, staff and students ended up together in a conclusive participatory reflection on the role of the of the knowledge in architectural and urban design practice. While discussing about skills, attitudes and knowledges, one of the participants asked “What are the right shoes for an architect?” looking down at the poster on the floor, representing a human body, possibly that of an architect and its embodied knowledges. Watson, Odendaal, Duminy et a., in their 2014 “The Planner in Dirty Shoes” would have argued that the right type of shoes entirely depends on “the unique ability (…) to take context into account and to get close to reality”. Indeed, architectural knowledge is situated, as it emerges from particular contexts of application, with and within their own theoretical frameworks, methods of research and practice. And architectural knowledge is relational, as knowledge production and learning are necessarily defined within relative positions, in conversation with existing discourses, material processes and the socially constructed and mediated structures of power. It is through unpacking these relational dimensions that we make sense of urban objects and processes, and identify opportunities for positive transformation. Finally, architectural knowledge is reflexive, especially with regard to the role and position of architects working within people-centred processes. It calls for a constant reflection upon and reinvention of the self and the other. Situated, relational and reflexive, three pedagogical challenges that foster a constitutive role for architectural knowledge in addressing spatial injustice. Far from being a narcissistic reflection on the disciplinary and professional role, the three-day activity enabled the encounter between pedagogical needs – shaped by new urban challenges, competences and methods. Delving into what it takes to make an architect, the training proved that education can be changed in a participatory way – meeting the needs of the students, a demand-led approach to curriculum change. 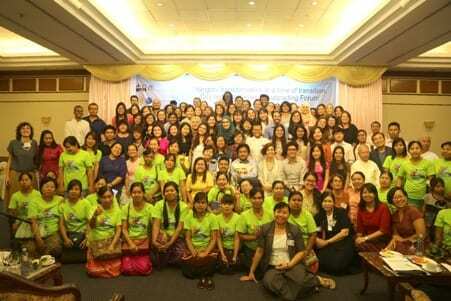 The “People-centred design” workshop and training is a three-day activity held in Yangon between 13-15th February 2018 at Yangon Technological University (YTU). The initiative is funded by UCL’s Global Engagement Funds and DPU’s TAS funds; organised and coordinated by DPU (Giovanna Astolfo and Camillo Boano) in collaboration with YTU and Association of Myanmar Architects – AMA (Ma Wah Wah); facilitated by Community Architects Network – CAN (Witee Wisuthumporn) along with Bithukar Community Platform (CBP) and DPU/ACHR/CAN interns (Saptarshi Mitra and Shoko Sakuma); with the participation and inputs from international guest lecturers Supitcha Tovivich (Silpakorn University, Bangkok), Catalina Ortiz (DPU) and Ma Pwint (YTU). In the late hours of November 8th 2015 it was clear that Aung San Suu Kyi, leader of the National League for Democracy and Nobel Peace Prize winner, had scored an unquestionable electoral triumph. After decades of military rule, the NLD categorically won Myanmar’s latest elections, gaining control of parliament and thus starting a new chapter in the country’s turbulent political history. The ensuing months, however, have been far from perfect, with repeated tensions and confrontations that expose Myanmar’s deeply rooted problems with religious tolerance, ethnic integration, displacement and migration. In a momentous time of transition, the country’s transformation towards democracy, growth and aperture faces innumerable challenges –a reality that is particularly evident in Yangon, Myanmar’s largest city. Focusing on the urban implications of these processes, the recently concluded 2017 BUDD fieldtrip attempted to shed light on Yangon’s recent evolution, exploring a series of analytical frameworks anchored in both design research and critical thinking. 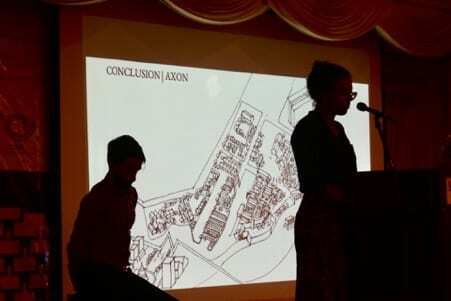 Rather than settling on a removed diagnosis of the city, the BUDD students were able to explore and produce strategic urban planning visions that emerged from site visits, lectures, discussions, and permanent exchange with numerous local actors, international experts and community organisations. 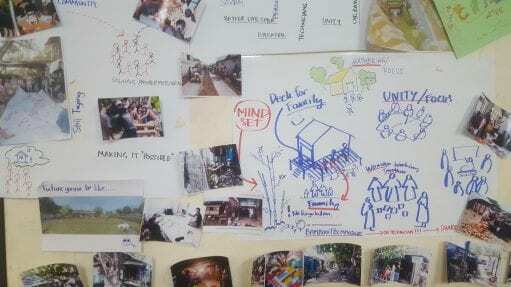 With the collaboration of local students from Yangon Technological University (YTU), interns working with Women for the World, and support from the Community Architects Network (CAN) and the Asian Coalition of Housing Rights (ACHR), the fieldtrip was the conclusion of a two-month academic process developed in our Urban Intervention Studio. 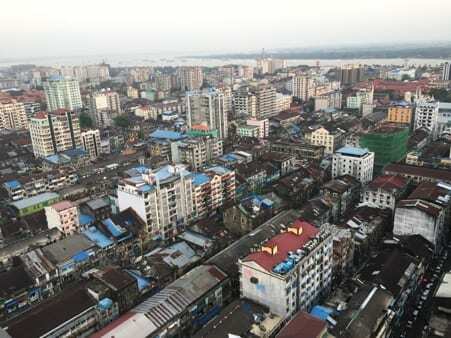 With a population of over seven million, Yangon’s metro area is a blend of cultural influences, historical periods and varying densities, defined as much by the city’s geographical location, its environmental conditions and the inevitable tensions brought by inequality and spatial disparities. As emerging economies and fast-track urban developments collide with traditional everyday practices, the BUDD students looked at potential opportunities brought by the inevitable processes of urban transformation, suggesting alternative means of design and development where spatial variety is recognised and where strategies put forth by the urban poor are allowed to coexist together with the large-scale measures enforced by the planning authorities. The fieldtrip was designed around the collaboration between Women for the World and CAN-ACHR, who have engaged with numerous community savings groups across different townships, producing remarkable slum upgrading projects in villages with poor infrastructure, limited mobility and complex land ownership dynamics. The BUDD student teams worked on different sites in the Hlaing Tar Yar and Dagon Seikkan townships, engaging with communities at different stages of the upgrading process through interviews, mapping, visual exercises and other means to better understand the sites dwellers’ aspirations as well as their immediate needs. As part of the programme’s requirements, the student teams delivered two different presentations over the course of the fieldtrip, one before community members from the visited sites, and a concluding presentation before most of the partner institutions. The first presentation was a direct response to the fieldwork, with analysis placed at the community scale and focused on participatory means of knowledge sharing and co-production. The second presentation scaled-up the proposals at the township/city level, with strategies, principles and guidelines aiming at possible urban policy entry points for inclusive spatial integration. This last event also included a discussion panel including members from the BUDD staff, CAN-ACHR, and top representatives from the Yangon City Development Committee (YCDC), addressing further themes of contention and debate around Yangon’s city model for the future. The future of Yangon will reflect Myanmar’s ruling class capacity to integrate a country deeply divided along political and ethnic lines. Societal tensions are inevitably translated into the built environment, materialising through spatial configurations, taking shape through forms, networks and materiality –in roads, in house typologies, in infrastructures, in trade economies, in territorial ownership. The friction between the antagonistic pressures that dispute rapid large-scale transformation against the slow-paced growth of local communities exposes the need to address the disparities in relation to mobility, access and environmental risks –and in Yangon’s specific case, the right to the city to come. If local communities’ capacities for upgrading and city-making are acknowledged, anchored in multiple agencies rather than unilateral imposition, Yangon could build a vision of open, heterogeneous, and rich urban life. 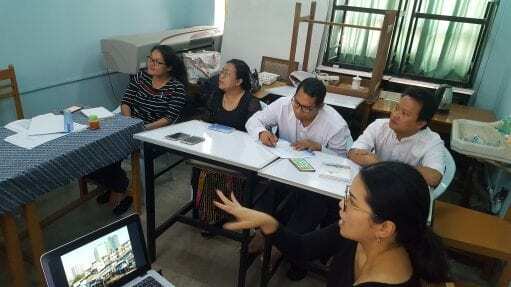 As mentioned, the 2017 BUDD fieldtrip was possible thanks to the programme’s partnerships with Women for the World, Community Architects Network (CAN), the Asian Coalition of Housing Rights (ACHR), Yangon Technological University (YTU), the Association of Myanmar Architects (AMA) and the special contributions from Somsook Boonyabancha, Jayde Roberts and representatives from the Yangon City Development Committee (YCDC). Ricardo Marten Caceres is an architect and urban designer, graduated from the Technological Institute of Costa Rica (ITCR) and with an MSc degree from BUDD. He has worked as an architect in between studies, leading a studio practice in Costa Rica focused on residential projects, as well as being partner in a design practice based in Germany working with several NGOs in Haiti, the Philippines and Tanzania. 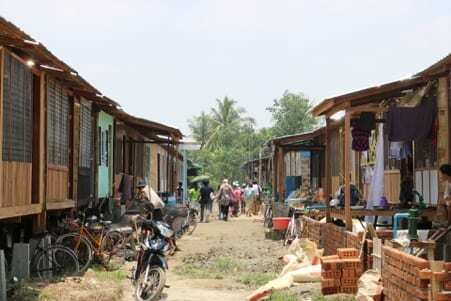 His academic interests lie in the urban dynamics between informal settlements and territorial variables. Ricardo’s current PhD candidacy looks to examine these elements, particularly focusing on the urban legacy of official spaces of exception and the resulting informal counter-narratives.